Dr. Jeremy Jernigan is a Mississippi Board licensed chiropractor who has freeing people from pain since 2005 in his clinic in Gulfport. As a Chiropractor with experience, he is committed to promoting the health and well being of his patients. Dr. Jernigan uses a "whole person approach" when taking care of his patients. 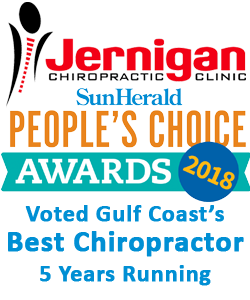 By combining the very best hands-on-techniques, state of the art physiotherapy procedures, and providing the newest and best natural vitamins and mineral supplements on the market today, Dr. Jernigan is able to help you to accelerate and/or maintain your journey to good health. Dr. Kisha Hamilton graduated from Logan University in St. Louis, MO in August 2013. During her time at Logan University she gained a passion for nutrition, sports, and the synergistic effects of the body. Dr. Hamilton spent time as an intern treating the St. Louis community at the Logan Southfield Clinic, which included treatment for many female athletes. This population and their specific health and performance needs became a passion for her. She also spent time working with athletes at the University of Missouri training facility. Dr. Hamilton interned at the Jefferson Barracks VA hospital in St. Louis to further her knowledge of the VA system, working with an elderly population, and experience the multidisciplinary system. Dr. Hamilton’s work at the hospital instilled in her an appreciation of the veterans and a desire to provide this special group with conservative care. Since graduation, Dr. Hamilton returned to the town where she was raised, Springfield, MO. She became active in the community volunteering time at sports events and charity fundraisers offering her chiropractic services. While practicing in Springfield, she was a BNI member, volunteered as president of the Citizen’s Advisory Board for Probation and Parole, and is currently still a board member for the Veteran’s Hope Clinic. While loving her new roles, she chose to move to the coast looking for warmer weather and the beach. Since living on the gulf coast, she worked in Mobile, AL for two years, eventually transitioning to Jernigan Chiropractic Clinic in Gulfport, MS. At Jernigan Chiropractic, she practices utilizing the experiences she has attained in her education, internships, and previous clinical experience. She believes the body should be treated as a whole with chiropractic adjustments, rehabilitative therapies, and nutritional counseling. She is serving as a board member from afar for the Veteran’s Hope Clinic and is a member of the Edgewater Rotary Club. She loves the Mississippi Gulf Coast community and is excited to be more involved.